Venomous reptiles, bugs, and marine life have notorious reputations as dangerous, sometimes life-threatening creatures. But in a paper published in the August 31, 2018 issue of Science, first author Dr. Mandë Holford, an Associate Professor of Chemistry and Biochemistry at The Graduate Center of The City University of New York (GC/CUNY) and Hunter College, details how technology and a growing understanding of the evolution of venoms are pointing the way toward entirely new classes of drugs capable of treating diabetes, autoimmune diseases, chronic pain, and other conditions. According to Dr. Holford and her colleagues, venomous species account for more than 15 percent of the Earth's documented biodiversity, and they can be found in virtually all marine and terrestrial habitats. Still, researchers have studied very few venoms because, until recently, scientists lacked the appropriate technology for analyzing the tiny amounts of venom that can be extracted from these mostly small species. But innovations in omics (technologies that map the roles, relationships, and actions of an organism's molecular structure) are allowing researchers to uncover evolutionary changes and diversification among specific venomous species that could prove useful in developing new drugs capable of precisely targeting and binding to molecules that are active in certain human diseases. 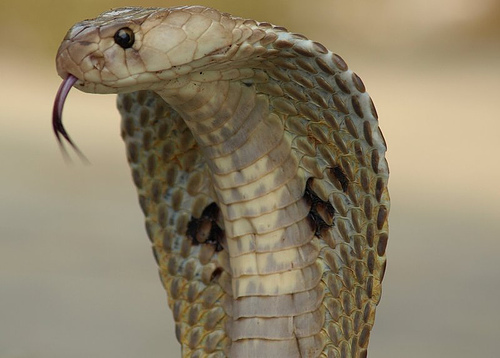 "Knowing more about the evolutionary history of venomous species can help us make more targeted decisions about the potential use of venom compounds in treating illnesses," said Dr. Holford. "New environments, the development of venom resistance in its prey, and other factors can cause a species to evolve in order to survive. These changes can produce novel compounds -- some of which may prove extremely useful in drug development." To date, only six Food and Drug Administration-approved, venom-derived drugs have been developed as a result of modern-day research, but Dr. Holford and her colleagues believe greater investment in venom research could yield therapies for currently untreatable diseases, as well as improved therapeutic options. Potential drug advances include therapeutic peptides derived from the venomous sea anemone, which researchers believe could treat autoimmune diseases; therapeutic neurotoxins derived from the Conus magus, which scientists think could provide non-addictive treatment of chronic pain; chlorotoxin from the deathstalker scorpion, which could be the basis for a surgical tumor-imaging technique; and spider toxins, which could yield ecofriendly insecticides. Dr. Holford and her fellow authors conclude that an evolution-informed perspective will help focus venom research so that it can leverage the extraordinary biochemical warfare created by nature to yield transformative therapeutics and bio-insecticides.